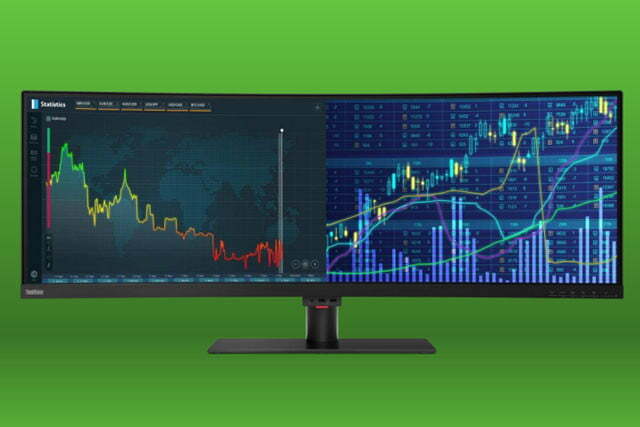 Lenovo has a trio of new monitors to show off at this year’s Consumer Electronics Show and they all push the boundaries of convention in both size and speed. 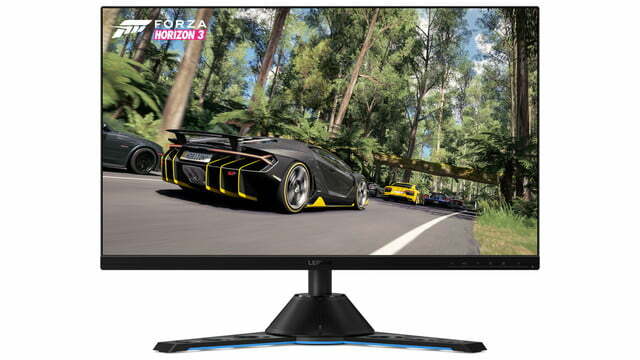 There isn’t one screen it’s debuting that’s under 27-inches in size, and all of them will produce slick, smooth visuals, thanks to fast refresh rates that top out at a bleeding-edge 240Hz. The Legion Y44fw is arguably the most impressive of the lot. 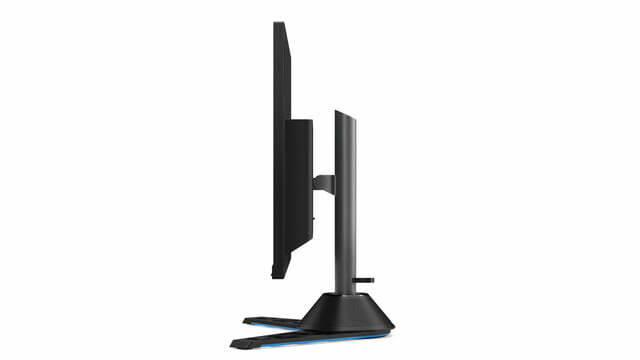 At 43.4-inches diagonally, it will test the limits of your peripheral vision and your desk space in equal measure. 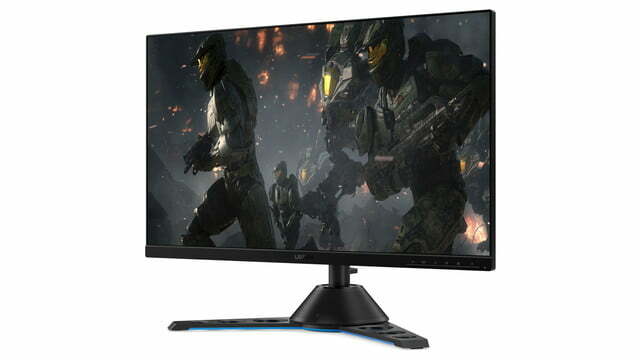 It has a resolution of 3,840 x 1,200, a maximum refresh rate of 144Hz, a 4ms response time, and a maximum brightness of 450 nits — a collection of specifications that would make this a fantastic gaming display. It also supports FreeSync 2 so AMD graphics owners can enjoy tear-free gaming, and the 1800R curvature makes it incredibly immersive. It’s VESA certified for HDR 400, too, so in supported games and media you can enjoy richer colors and contrast for a picture that pops off of the screen. The color gamut spans 99 percent of the sRGB, BT.709 and DCI-P3 color. You can connect it to your system via DisplayPort 1.4, USB-C 3.1, or either of a pair of HDMI 2.0 ports. The USB hub includes four additional USB-A 3.0 connectors. Set to go on sale in April, the Lenovo Legion Y44fw will be priced at $1,200. 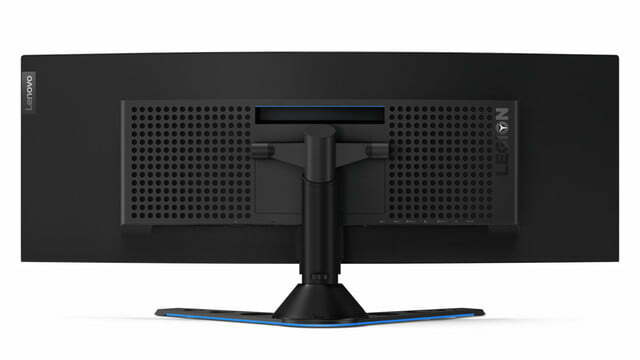 Lenovo’s new ThinkVision P44w is targeted at professionals, but ticks all the same boxes. 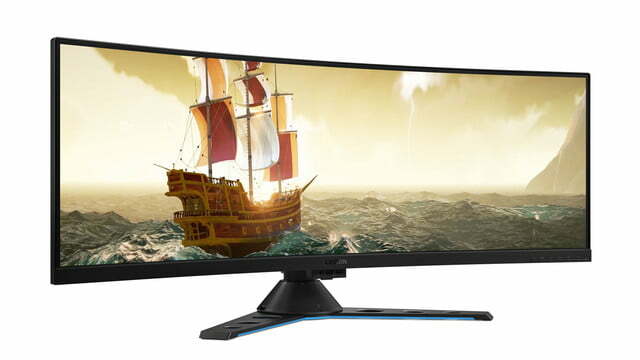 It too sports 3,840 x 1,200 resolution, has a maximum refresh rate of 144Hz, and a 4ms response time. 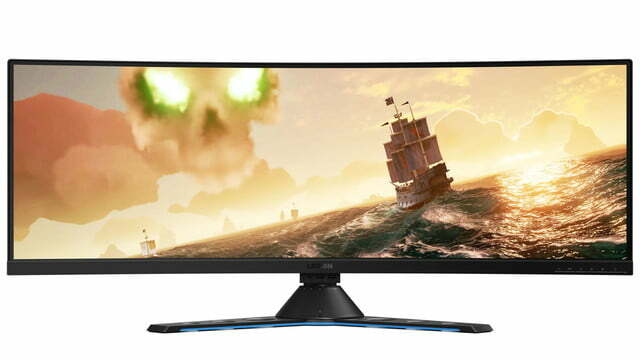 It also supports FreeSync 2, has a maximum brightness of 450 nits, is VESA HDR 400 certified, and measures 43.4-inches. In fact, all of its specifications are identical to that of the Legion Y44fw, right down to the ports, which has us wondering why you would opt for the ThinkVision instead. Especially since it launches at the same time but with a price tag that’s $100 higher, at $1,300. The P44w does appear to have a slightly more professional look, particularly in the stand, but the higher price tag gives you a three-year warranty over the one year offered with the Legion display. 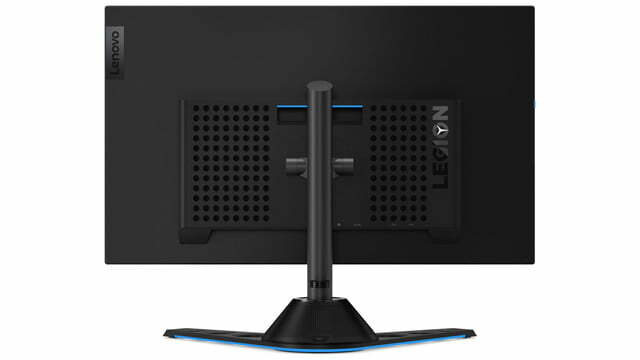 For Nvidia gamers or those who don’t need 40+ inches of screen on their desk, the Legion Y27gq is more conservative, though still impressive. 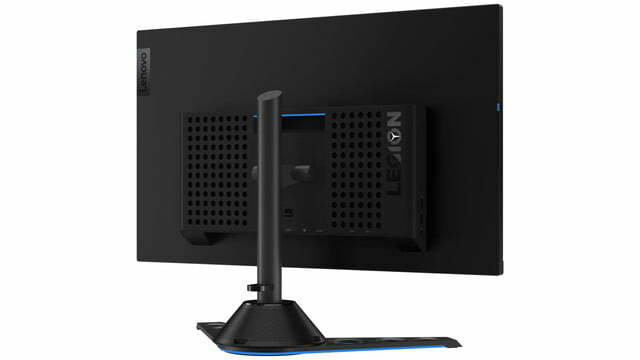 Built with a 27-inch TN panel for the fastest possible gaming experience, this screen supports refresh rates up to 240Hz and has a response time of just 0.5ms. 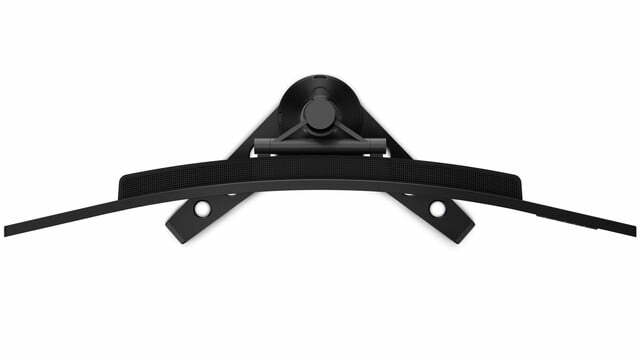 It’s backed up by Nvidia G-Sync technology to stop screen tearing in its tracks for Nvidia graphics owners. The resolution of 2,560 x 1,440 is the gaming sweet spot at this time and its colors should be reasonable for a TN panel thanks to 90 percent coverage of the DCI-P3 gamut. Connection ports include HDMI, DisplayPort, USB 3.0, and an audio jack. It also has detachable Harman Kardon certified speakers if you want to use them. The Lenovo Legion Y27gq will go on sale in April too, with a starting price of $1,000. If you can’t wait for these new displays to launch, check out our favorite gaming monitors of the year so far. Updated January 1, 2019: Clarified the difference between Legion Y44fw and ThinkVision P44w.